In these series, you'll find expert tips, ideas and pointers to help you with the most valuable asset in your business: your employees. Choose from quick tips or longer masterclasses. If you have time, listen to the 'In Conversation' shows where experts share their thoughts and experiences. In business, your employees are one of your most important assets, it pays therefore to keep them happy and fulfilled in their work. But, despite your best efforts, sometimes things will go awry. Business is about people, creating the right relationships with customers, suppliers and, most importantly, employees – but with these employees comes legislation. 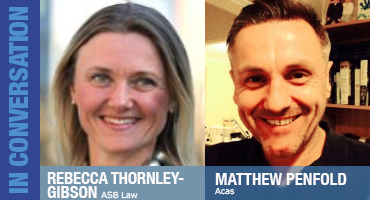 In this episode of Essential Business Radio, first broadcast in 2012 but still relevant, we talk to experts Rebecca Thornley-Gibson, partner at ASB Law and Matthew Penfold, Senior Adviser & Collective Conciliator at Acas about an employer’s responsibilities and employees’ rights.